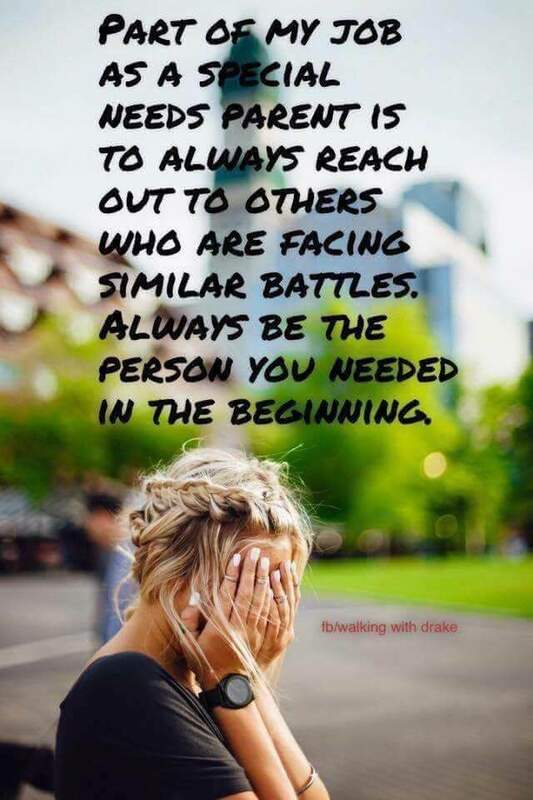 If you are facing a new diagnosis and need someone, I am here. If it’s 3am and you’re crying about what your kid couldn’t do today, I am here. If you just opened your mail to find another negative therapy eval, I am here. When you’re so tired you just want to scream, I am here. When your child is admitted to the hospital for something simple that would never effect a typical kid, I am here. When a complete stranger makes remarks about your kid being different, I am here. When your husband and you aren’t speaking to one another because the stress has caused a space between you, I am here. When you’re celebrating the tiniest inchstone in your child’s life, I am here. I am here for your moments of weakness and your moments of loneliness. I am here to enjoy the littlest things and the simplest joys. I am here to walk beside you as you fight for you child, because you have helped me fight for mine. You’re in the tribe now, and it’s a beautiful thing. Please feel free to comment, like, & share. *Photo is not mine. Another fellow special needs mom shared it.